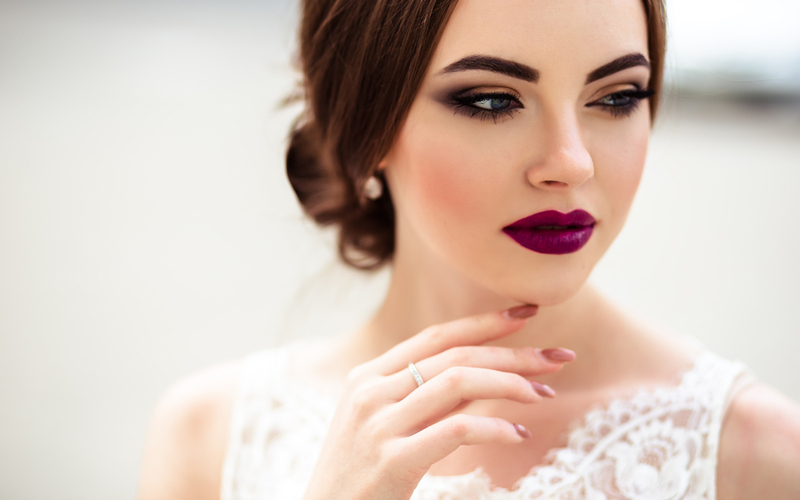 Many brides walk into our hair and makeup salon on the day of their wedding and think that is where bridal beauty should start, but the weeks leading up to this can be just as crucial for achieving that bridal look that you want. Our professionals do wonders for all the brides-to-be when they walk through our doors at Charleston hair and makeup, but if they take these prep steps before, then they will be nothing short of stunning walking down the aisle. In prepping for your big day, one of the biggest areas to be concerned with is your bridal hair. Obviously, you won’t be prepping for the actual hairstyle that you plan to have done for your wedding day, but you will want to prep for healthy hair before the day of. Many professionals, including the ones at Charleston hair and makeup, believe that a diet filled with Vitamin B can help create a healthy scalp. This will bring out your natural shine and make your hair stand out. You will also want to consider a deep conditioning treatment about a month prior to your appointment with your stylist. If any split ends occur during this prep time, get a trim from your local salon. We all know that the time leading up to your wedding (especially the couple months before) can be extremely stressful. You are staying up late to finalize all the details while also going through your daily routines. This can ultimately create dark circles and puffiness around your eyes which no bride wants when they walk down the aisle. Our professionals at the hair and makeup salon recommend using a nightly eye cream accompanied by adequate nights of sleep to improve both of these issues. Using a cold compress twice a week will also help keep the puffiness out of your eyes and keep eye bags at bay. We all know the most important parts for any bride during the day of their wedding: walking down the aisle to the love of her life and the kiss that joins the couple together in marriage. Before you take that kiss into the next chapter of your life, you are going to want to make sure your lips are in their best shape. Look for a Vitamin E stick so battle off cracks that weather and nervous lip biting can bring on. Exfoliating your lips once a week is also another great way to get rid of the dead skin on top and keep your lips nice and smooth. Take a toothbrush with warm water and gently brush back and forth. If you are getting married in the summertime or when the sun is shining, use a little sunscreen to keep your lips hydrated. The prep stage for any bride is just as important when they sit in their stylist’s chair to become wedding ready.